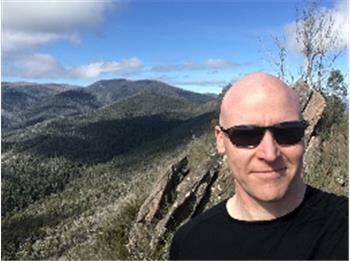 Hi all, I'm looking for someone to climb with at Penrith an evening or two per week and possibly doing some outdoor climbing in the Blue Mountains on weekends. I've been climbing for about 2 years and have just started learning lead climbing so would be keen to do some more of that too. I usually climb at St Peters, but looking to train at Penrith, a little closer to home. Let me know if you are keen! Have climbed on off for quite a few years. Have started up again jan 2017 and looking for people interested to climb indoors at st Leonard's and outdoors as well. Have gear. Hi, I'm a beginner rock climber and boulderer (if that's a word?). Looking for other beginners who are keen to climb in the Inner West of Sydney. Cheers. I'm really keen to climb outdoors after 15 years away from climbing. I've been climbing indoors for most of this year and I'm itching to get on some real rock. I'm certainly rusty when it comes to leading but I'd love to start on some easy stuff. Happy to second up whatever you want to climb. Looking to do some day trips to Werribee Gorge, Camels Hump and Cathedral Range on both week days and weekends. Longer trips to Mt Buffalo, Arapilies and the Grampians would also be great. i have trekked in the middle Himalayas in India including some glaciers in the Gangetic source. Would love to join any avid trekkers in pursuits of adventure.